Features: Can also be used for defrosting food in the microwave. Steam escape valve allows you to steam chicken, fish, vegetables and more to compliment your pasta dishes. 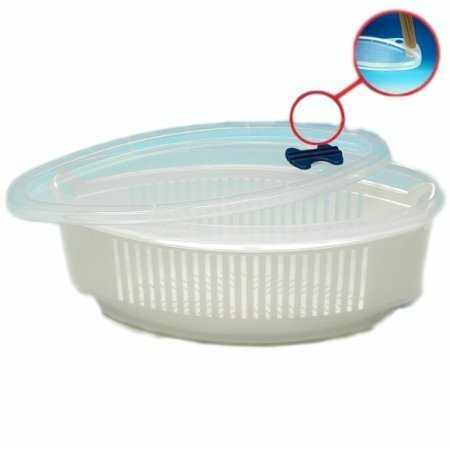 Strainer- designed for straining pasta after cooking in the MicroSteamer. 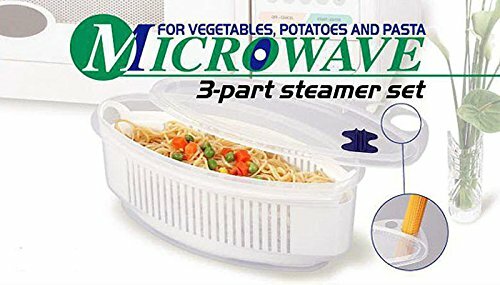 Storage lid included - cover the remaining ingredients and store right in the MicroSteamer bowl. Bowl is refrigerator and freezer safe. Great for dorms, RV, boat, or cabin. If you have any questions about this product by River Charms, contact us by completing and submitting the form below. If you are looking for a specif part number, please include it with your message.